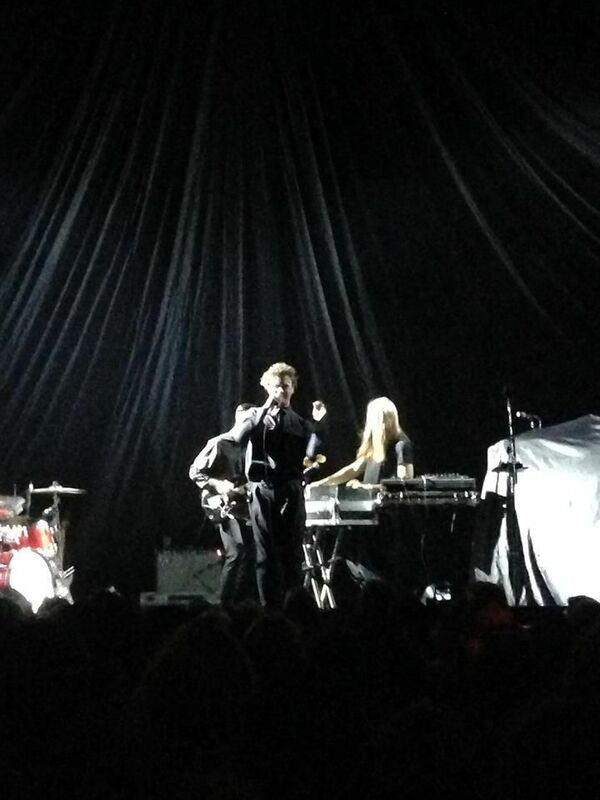 On Wednesday night I became acquainted with Mikky Ekko. It was a special night at the metropolis, with hundreds of people eagerly awaiting the sold out and much anticipated performance from Alt-J. I always love getting to shows a bit early because it gives me time to check out the opener who is normally eclipsed by the main act. This time I was surprised and blown away. Most people might know Ekko, the Nashville based singer, from Rihanna’s hit single “Stay” or his performance at the 2013 Grammy’s. This new comer to the music scene is already making a big splash in the pond and asserting his own right as a fully-fledged musical artist. The audience wasn’t distracted by the glitz and glamour of the performance but was able to tune into his velvety rich vocals. Ekko took us on a journey of love and seduction with high crescendos and lots of hard drum lines. He got the crowd moving and I could feel a really great energy inside. People were smiling and the young female tween audience was swooning. In just a short amount of time he was able to display his wide range of musical talent. Sadly, we had to see Ekko go. However, the stage was set for Alt-J. As always, they gave a stellar performance, opening with “Hunger of the Pine” to the screams and cheers of the entire audience. In just a few years this band has skyrocketed—and for good reason. The lights gave the illusion that they were temporal, fading in and out of the smoke; voice and instrument enveloped us all. I was happy to see they played a good variety of both the new and old album. I have a very special place in my heart for An Awesome Wave, however their performance has quickly swayed my opinion in favor of the new album. The highlight of the show was probably “Blood Flood Pt. 2”. It had an incredible build up, which was in synch with the lights. The band came together as an entity and the energy was electric. It felt like it was too soon to see them go. I will miss their presence here in Montreal; that was one hell of a show.